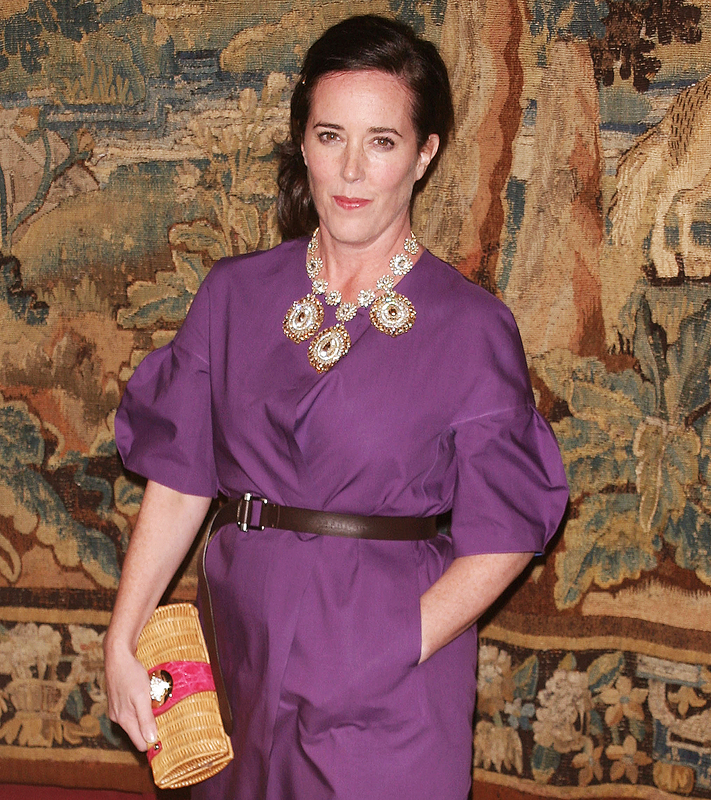 Kate Spade’s cause of death was suicide by hanging, the New York City medical examiner’s office confirmed to Us Weekly on Thursday, June 7. The fashion designer was found dead at age 55 in a bedroom of her NYC apartment on Tuesday, June 5. A housekeeper found her hanging with a red scarf around her neck attached to a doorknob at approximately 10:20 a.m. ET. The New York Police Department confirmed to Us that Spade was “unconscious and unresponsive” when emergency responders arrived. She was pronounced dead at the scene. Spade was best known for her namesake brand, Kate Spade New York, which she cofounded in 1993 with her husband, Andy Spade. She sold the mega-successful company in 2007 before launching a new handbag brand, Frances Valentine, in 2016. The latter was named after the couple’s 13-year-old daughter. Andy, 55, revealed in a statement on Wednesday, June 6, that his wife of 24 years had battled depression and anxiety for years. The pair had amicably separated about 10 months before her death.